New England Firearms Huntsman .50 cal muzzleloader. 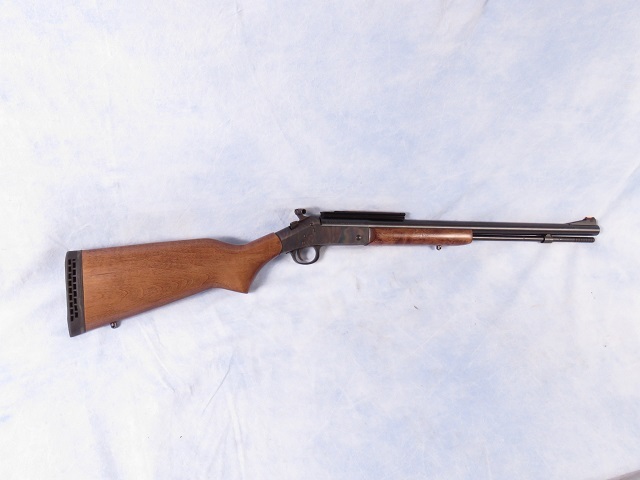 Hardwood stock, case hardened receiver, blued 24" barrel and sling swivel studs. Does come with breech plug tool and multiple primer carriers, this gun will make a fine hunting implement for a lucky owner!